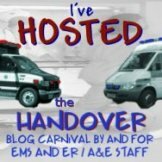 Chris, over at Life under the Lights has hosted this months edition of the Handover EMS Blog carnival. The theme this month was RESPECT, and as expected, it has brought an passionate response for those who have submitted posts for this edition. Click Here, to go and look at the various views on what respect means to us in the profession. I also have some exciting news about the continuation of The Handover thanks to two new administrators, but I think that deserves a post all to itself in the next day or two, but until then, head over to Chris`s blog and show your support for all things EMS Blog related.